Honeywell Flame Sensors And Relays: Honeywell Flame, Sensors a first relay responsive to a signal from the condition sensor, the first relay being in a first state in the absence of a signal from the condition sensor and being switched to a second state in response to a signal from the condition sensor, a control relay adapted to be switched between first and second states, circuitry responsive to an operation request for switching the control relay from the first state to the second state after a time interval, and clamping circuitry operative in response to the detection of the first relay in its second state during the time interval to clamp the first relay in the second state and the control relay in the first state, overriding the influence of the condition sensor on the first relay. Used with Honeywell Flame Switches R4343 & Sequence controllers series RM/EC7800. Mounts on a 1” sighting pipe by means of an integral collar. Solid State Electronic flame detectors for use with Honeywell Flame Safeguard controls and amplifiers. Sense ultraviolet radiation produced by combustion of gas oil coal or other fuels. Microprocessor based integrated burner control for automatically fired gas, Oil or combination fuel single burner applications. Provides safety, functional capability and features beyond conventional controls. Keyboard display module to indicate the status and fault diagnosis. Siemens (landis & gyr) photocell ,flame sensor qrb-1a/ qrb-1b. Siemens (landis & gyr) photocell, uv flame detector qra-55c27 etc. Combustion and control systems, mumbai is the leading importer and supplier of Siemens (Landis & gyr) photocell & U.V cells. We supply following models in stock. 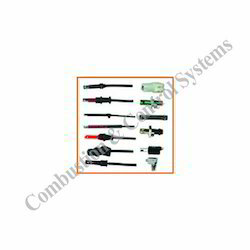 Combustion & control systems, Mumbai offer a comprehensive range of UV sensor and amplifiers, which are used in various industries Like chemical plants, petrochemical plants, pharmaceutical, Dairy, garment process houses, dyeing houses, etc. Offered in standard as well as customized specifications, these systems detect UV radiations emitted by the naked flames by gas, coal and oil fired burners. 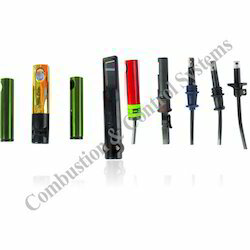 We use very sensitive electronic UV tube to design UV Flame Sensors and the UV tube is used are specially tuned to detect UV radiations emitted by naked flame. The sensor manufactured isvery sensitive to normal light and refractory glow in the furnace walls. 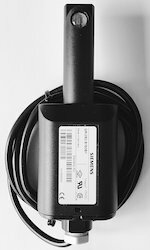 UV Sensor manufactured by Linear Systems is ideal for detecting different types of flame, such as flames generated from Gas, Coal or Oil fired burners in Boiler & Furnaces. 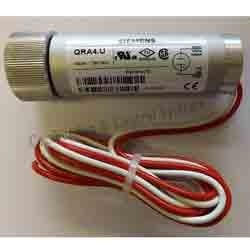 We offer UV Sensor - Model UV - 01 -AJ, UV Flame Amplifier / Relay - Model UV - FR – 01 and Model UV - FR – 21. UV Sensor ( Model UV - 01 -AJ ) : Specially designed for harsh industrial environment this model of UV Sensor provides good viewing of the flame and is also easy to maintain. The sensor is enclosed in a metal jacket ensuring mechanical protection. 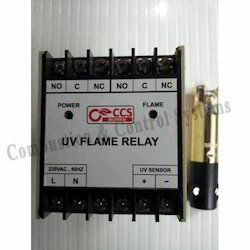 UV Flame Amplifier / Relay (Model UV - FR - 01 ) : The amplifier is used in conjunction with UV Flame Sensor and assists in detection of gas, oil, coal and other types of flames. The Amplifier is a stand alone unit with Two Potential Free relay contact outputs. The outputs are rated at 230 V AC, 5 Amps. The front panel of the amplifier indicates SUPPLY ON and with turn 'on' as soon as the supply is given. Model UV - FR – 21 : This models has adjustable time delay of 2 - 8 seconds thus being useful for installations with high flicker situation. The amplifier we offer is designed to work with our UV Sensor UV – 01 and also suits UV Sensors of various other makes. The prime thing to note for compatibility is that the UV Sensors of other make is rated 230 V AC RMS. 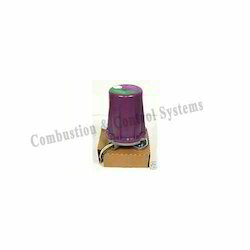 Combustion and control systems Mumbai offers Honeywell C7012E1104 Purple Peeper Rectification UV Flame Detector. Honeywell C7012 Purple Peepers rectification UV flame detector with shutter for self-checking control and 3/4" NPT connection. Use with dynamic self-check (R7247/R7847C) amplifiers. Combustion & control systems, Mumbai offering Siemen oil burner photocell rar9, Siemens burner controller LAL2.25, Siemens burner flame detector , Siemens burner servo motor, Siemens burner flame relay, Siemens uv detector, Siemens burner control box, Siemens gas burner controls etc..
We import following models and supply all over world at reasonable prices. 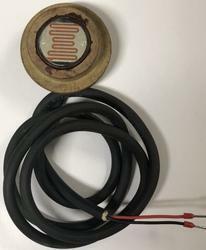 Landis & gyr photocell QRB3, Landis & gyr flame sensor QRB3, Landis & gyr flame detector QRB3, Landis & gyr BURNER photocell qrb3, Thermax boiler photocell QRB3, Siemens photocell QRB3, Siemens flame sensor QRB3, Siemens flame detector QRB3, Ecoflam burner photocell QRB3, Bentone burner photocell QRB 3, Weishaupt burner photocell QRB3 ETC..
We are also involved in manufacturing and supplying of best quality Riello Burner Photocells. Tough and supreme quality raw materials are used in making of these photocells. 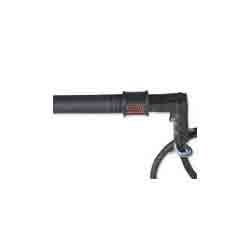 Used in wide variety of industries, these are made by using latest of machinery and highly qualified professionals. These durable and reliable photocells are available in industry leading price with safest of packaging. 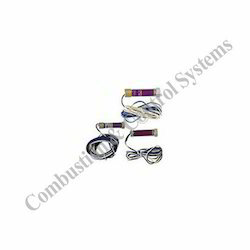 Combustion & Control Systems, Mumbai offering Siemens flame sensor, Siemens photocell, Siemens Photo resistor, Siemens Flame detector, Siemens Flame Sensor for oil burner etc.. 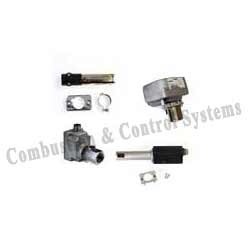 Combustion & control systems Mumbai offer Siemens UV flame detector for use with burner controls from Siemens for the supervision of gas or oil flames. Combustion & control systems, Mumbai offering a complete range of Weishaupt Burner Photocells & U.V Cells Models that are of weishaupt. Our range of weishaupt burner photocells, flame sensors, UV flame sensor, UV flame relay has been designed and developed using sophisticated technologies. These precision engineered instruments are known for performance and easy of operation. 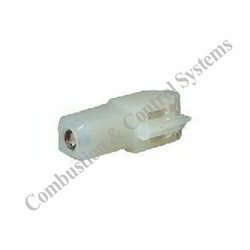 We supply weishaupt photocell, flame sensors in standard technical specifications used in industries. These weishaupt burner photocells and UV flame sensors, UV flame relays use light dependent resistor (LDR) for sensing flame and senses the light emitted by the flame. Suited for weishaupt oil burners in boilers, the sensor senses every type of light such as sun light and rays emitted by electric bulb /tube light. 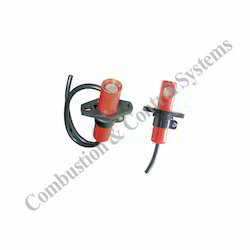 Combustion and control systems, Mumbai offering Oil & gas burner and spare parts. 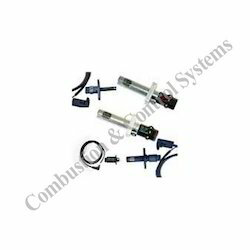 Combustion & control systems Mumbai one of the best source for Siemens combustion products. We keep siemens sequence controller, siemens ignition transformer, siemens photocell, siemens u.v cell, siemens flame sensor, siemens flame detector, siemens flame failure relay, siemens burner programmer, siemens servo motor, siemens achtuator etc. Looking for Photocells and U.V.Cells ?